When you need a gift -- right now! Perfect for the last-minute shopper! Select this gift option and we will email you a printable gift certificate with a unique code, redeemable for one GARTER holster, either online of in person at our show booth. The perfect size and color -- every time! 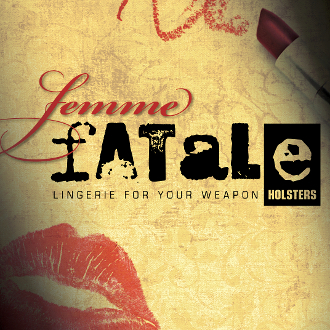 The E-Gift Certificate is good for one Femme Fatale Garter Holster. The E-Gift Certficate covers the cost of the Garter holster. Applicable taxes on the corset holster will be assessed at time of purchase of the gift card. Shipping costs for the garter may still apply. E-Gift Certficates are redeemable either in person, or online at femmefataleholsters.com. E-Gift Certficates are not exchangeable for cash.